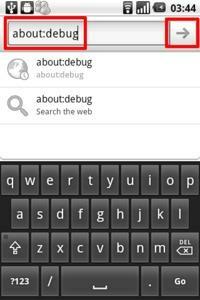 Android browser's about:debug, what do those settings do? In the address bar, type about:debug, nothing should happen, there will be no confirmation screen or flashing green box telling you that you've done anything. However, there should now be a few new options in the browser's Settings page. probably there are other new menus showing up that I haven't noted and the menus are very likely to be version specific. 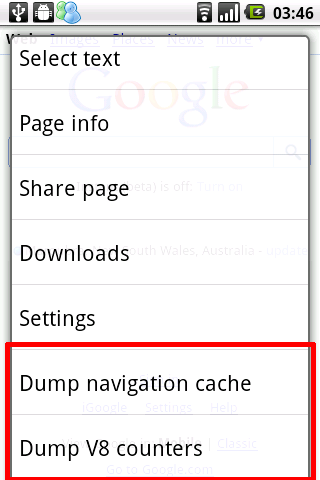 I find it difficult to Google what these setting do. I'd like help from others to play/experiment/Google with about:debug and write up what these settings do. Any bits of info you can gather is helpful. Please have one answer per setting, unless you're describing interrelated settings. 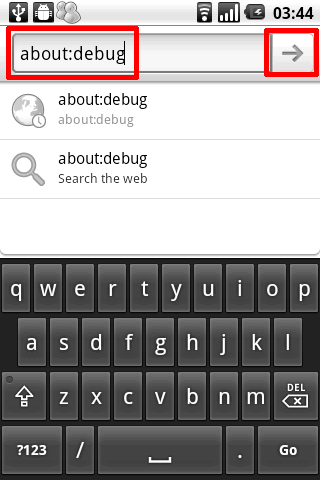 The about:debug menu on the HTC Desire HD has an option under Menu > More > Settings called "Enable GEP Zoom". This turns off HTC's Text reflow feature and uses the default Google zoom. UAString will change the User Agent String that Browser sends when requesting page. User Agent String is a short string (text) that the Browser sends to identify itself to the server. 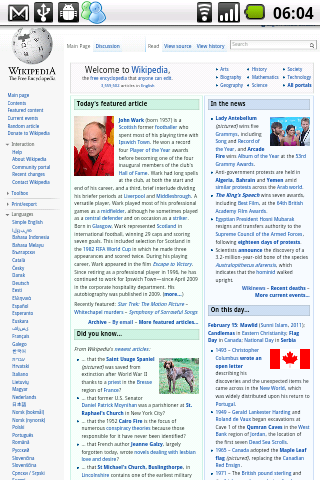 Many websites tries to detect the browser that is connecting to the website, and will serve different pages that is optimized for the browser. One of the most common method for such browser detection is by checking the UAString. The UAString setting basically spoofs the UAString and makes the server believes that Android Browser is really another browser. 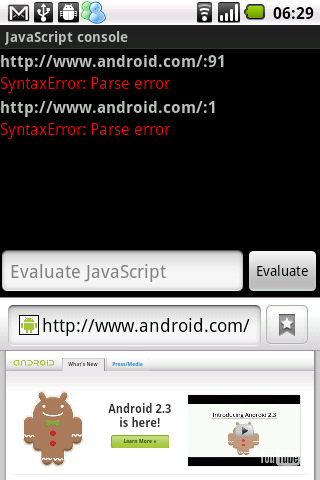 The Android UAString is the default UAString that is sent by Android, websites may serve a mobile version of their site when detecting this UAString. Desktop can be used to force the server to serve the Desktop version of the site instead of serving up mobile-friendly version. On the other hand, iPhone UAString can be used if you know that the server have a mobile friendly version optimized for iPhone, but is not detecting Android as a mobile phone and so is falsely serving a desktop version. 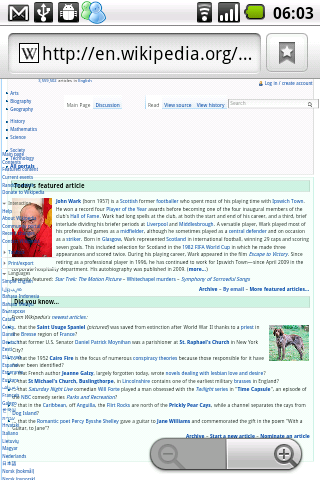 Single Column Rendering causes Browser to use a different layouting algorithm. I'm not exactly sure what the algorithm's logic is, but it seems to be an attempt to force a website that were not designed for mobile to render in a single column for easier viewing on small screens. 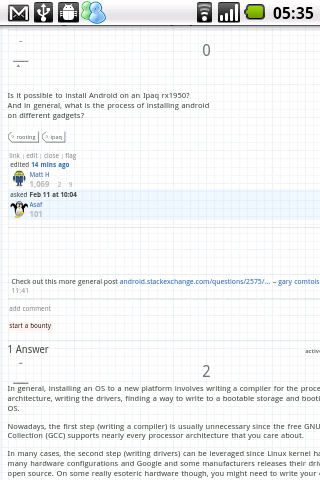 Not sure if that's the case though, since enabling single-column view breaks the layout of android.stackexchange.com and disables text reflow, which makes reading much more painful than when using the default layouting. It seems this feature is not used for a reason, I cannot find a single web page that looks better when rendered in Single column rendering mode; even pages optimized for mobile views looks better in default than in Single-column mode. Not the answer you're looking for? 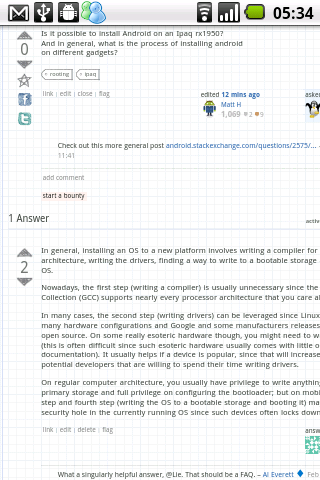 Browse other questions tagged browser settings stock-browser or ask your own question. How can I change the user agent for the stock browser? 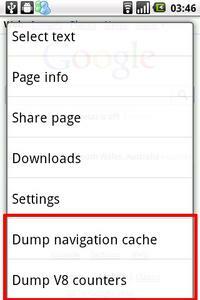 How to clear Android browser's localStorage? What kind of data is stored in website settings? What is Qualcomm Settings (hidden) menu on Moto E? How to stop my Android device from being spammed in the browser as well as in the application?